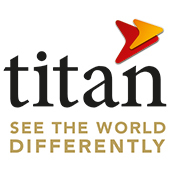 Titan charters a variety of ships worldwide to bring you river cruises throughout Europe, Egypt and the US. They offer premium level cruises in Europe and provide an all-inclusive experience to discerning, experienced travellers in an all-English speaking, non-smoking environment. Titan offer the additional benefit of their VIP door-to-door travel service so you travel to the airport in style and without extra cost and hassle.